The words of the Spanish philosopher and essayist, George Santayana: If we do not learn from history, we are doomed to repeat it, might well have been used as the conference theme for this year’s Australian & New Zealand Disaster and Emergency Management Conference held on the Gold Coast in Queensland, Australia. This year’s program included over 70 presentations and ten informative workshops. Once again, the conference attracted disaster management experts from across the two countries and beyond, intent on sharing experience and learning from the latest research into how to best prepare for, respond to and recover from natural, man-made and man-assisted disasters. And, once again, disasters in the region this past year gave delegates much to analyse and ponder. Keynote speakers set the scene for the conference, stressing from the outset the importance of collaborating, involving and sharing knowledge, of learning lessons from other peoples’ past failures to leapfrog future problems; and the importance of preparation, planning, response and recovery and developing coordinated actions. They went on to urge politicians not to ignore risks and threats that are already known; to understand that the essential first step is to fully accept that a specific risk exists. From the keynote speakers it was impossible to miss the fact that an unwillingness to accept the inevitable is understandable as it is more comfortable to ignore a risk or its size or impact. This is particularly so when the looming risks are beyond the imagination. The message was clear, that those responsible for devising strategies and funding them must acknowledge that it is when, and not if we want to be ready. More than 300 delegates to the conference were reminded that we are in the age of the unthinkable and we just have to accept it and act accordingly. In the past, many major events have been predicted – accurately as it turned out – but the recommendations and reports have never seen the light of day (perhaps they went in the “too hard” bin or at the back of the “not in this parliament” drawer). It simply has to be accepted that the world is what it is; not necessarily what we would like it to be. The only choice in the matter is how we respond. All too frequently at the moment we do not even plan for the expected, let alone the unexpected. Few delegates needed reminding of the natural disasters that had help set the scene for this year’s conference. As at previous Australian & New Zealand Disaster and Emergency Management Conferences, many of the informal discussions focused on applying what was learnt at the various formal presentations to recent events. For example, in 2013 New South Wales experienced some of the most challenging fire conditions the state had experienced in more than a decade, providing the first real test of the recent focus on information and warnings. January 2013 saw widespread catastrophic bush fire danger ratings and a number of large and destructive fires. Despite some of the worst conditions ever recorded, and the extensive fire activity, not a single life was lost. Then, in October 2013, more than 200 homes were destroyed in a series of fires across the Blue Mountains, Southern Highlands, Port Stephens and Central Coast. Throughout these fire events, the NSW Rural Fire Service delivered as many as a million telephone warnings a day, as well as engaging with millions of people through social media. The information effort saw a strong but measured response from the community. In August in New Zealand a magnitude 6.8 earthquake struck south of country’s capital Wellington, sending panicked workers and residents into the streets just weeks after a similar tremor struck the city, reminding many of the February 2011 Christchurch earthquake that severely damaged the city, killing 185 people in one of the nation’s deadliest peacetime disasters. Elsewhere in the Asia Pacific region, in November Typhoon Haiyan hit the Philippines. Considered one of the strongest storms ever to make landfall, it tore through the central Philippines killing nearly 6,000 people and displacing more than 3.6 million. In India in October Typhoon Phailin, the strongest cyclone to hit India in 14 years affected the livelihoods of more than 13 million people in the country’s northeast. Fewer than 50 people died, with governments and aid organisations crediting improved disaster preparedness and the early evacuation of about one million of the most vulnerable residents along the coast. The dozen or so keynote speakers at this year’s conference included Associate Professor Brett Aimers, Chief Professional Officer, St John Ambulance Australia, Dr Paul Barnes, Deputy Director of QUT Centre for Emergency & Disaster Management, Dr Penelope Burns, Senior Lecturer, Department of General Practice, University of Western Sydney, Mark Crosweller, Director General of Emergency Management Australia, and Neil Comrie, Bushfires Royal Commission Implementation Monitor. A feature of this year’s conference was a keynote speakers’ chat room, where delegates could connect with keynote speakers immediately after their presentations to discuss specific points. 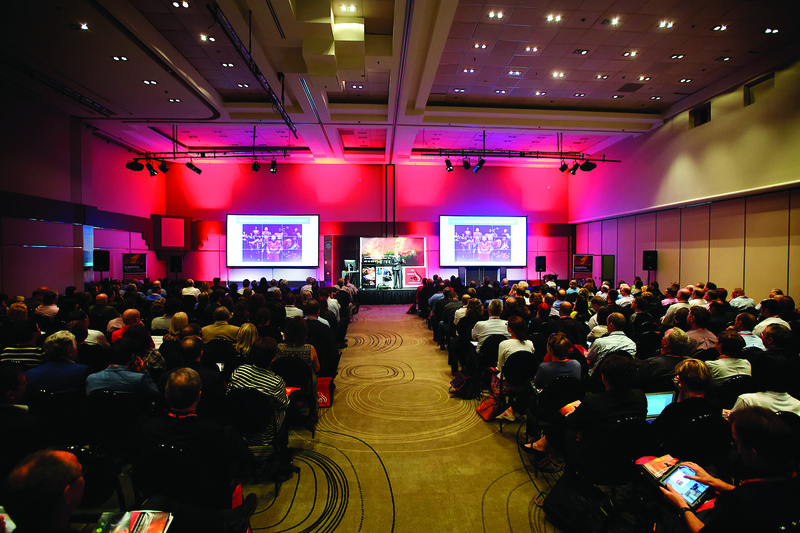 As with previous Australian & New Zealand Disaster and Emergency Management Conferences, the main conference was divided into a number of streams, providing the delegates with the opportunity to select from more than 70 presentations. The four streams for the morning of Day One were Risk Management, Human and Social Issues, Education & Training, Special Needs & Vulnerable Populations, and Business continuity. The latter three morning streams were replaced in the afternoon with Volunteer Involvement, Technology, and Open Topic. The Day Two program had early morning streams of Policy & Governance, Relief & recovery, Social Media & Technology, Crisis Management, and Mental Health. The latter two streams were replaced in the second half of the morning session by Community Engagement and Open Topic. The conference also included 20 poster presentations. The two-day conference was followed by an optional post-conference Workshops Day when delegates could choose from ten individual workshop topics covering crisis decision making, community resilience, policy, technology, social media, leadership, organisational behaviour and emergency planning. Workshop facilitators came from such renowned organisations as the Centre for Disaster Studies, Victoria State Emergency Service, and the Disaster Research Centre.